This is part 2 from another of the audio broadcasts I presented with BNA over the last few years before launching ESIBytes™. For sheer star power, it would be hard to top this audio broadcast. The panelists were: Greg McCurdy, one of the early star panelists in the electronic discovery world from Microsoft Corporation; Ed Wolfe, head of electronic discovery and records management at General Motors and long time Sedona Conference member; Jim Michalowicz, ACT Litigation and formerly with Dupont and Tyco; David Martin, head of electronic discovery and records management at Medtronic; and David Cohen, Co-Chair of Electronic Discovery at Am Law 100 law firm K&L Gates. The Fortune 500 firepower of this panel of extremely knowlegeable speakers made this one of the favourite shows I have done. Thank you again to Digital Discovery and e-Evidence for allowing me to post some of my early shows on ESIBytes. The show was broken down into the following sections (1) An Overview of Electronic Records Management; (2) Records Managment Theory and Practice; (3) Macro Lessons Learned from the Pioneers; (4) Critical Micro Issues with a Records Managment System and Advice on Starting an Electronic Records Management Program – where we covered specific ugly areas in electronic discovery and asked the pioneers for tips on the areas; and (5) Trends in Electronic Records Management. What I recall really liking about this show was the discussion on how to handle some of the micro issues of electronic discovery. 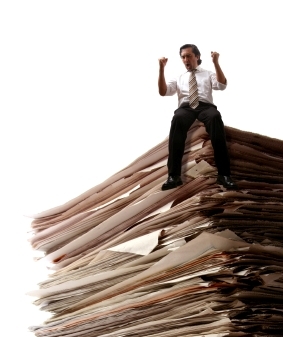 We also did a good job of moving between records management and electronic discovery issues. This show was a vast improvement on the first Pike & Fischer broadcast because I spent very little time on a fact pattern, but let the guests do more of the talking.